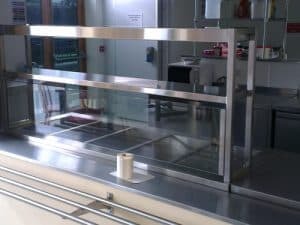 Martin Food Equipment recently designed and fitted the entire range of equipment and solutions to McCullagh’s Service Station in Omagh. 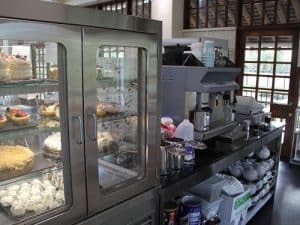 From hot and cold deli counters, state of the art MFE Self Cooking Centre combi ovens, Turbochef rapid cook ovens to soft ice cream console. 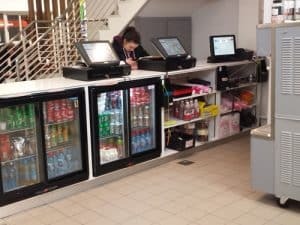 We designed and supplied this busy service station with effective concepts and retail solutions to meet the varied needs of McCullagh’s many customers. 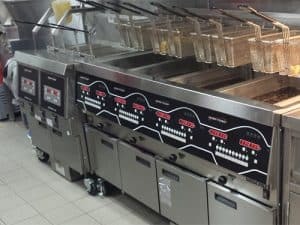 From frying and grilling to serving delicious ice cream desserts, we were delighted to be able to offer a range of MFE solutions to popular Killarney restaurant Den Joe’s. 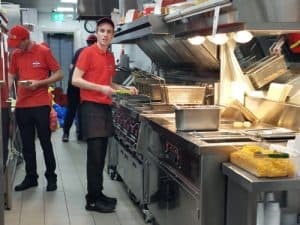 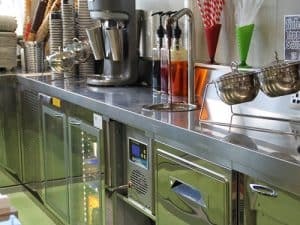 Using only the highest quality equipment, we were able to create an efficient workspace, meeting all requirements necessary for such a busy restaurant and takeaway. 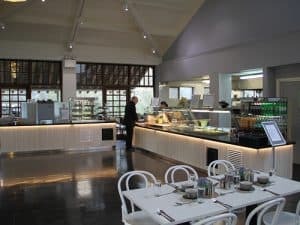 Martin Food Equipment were delighted to assist with the recent refurbishment of the restaurant located in the grounds of the Japanese Gardens & National Stud in Kildare. 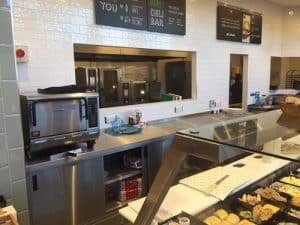 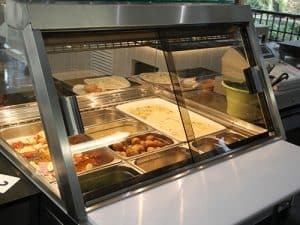 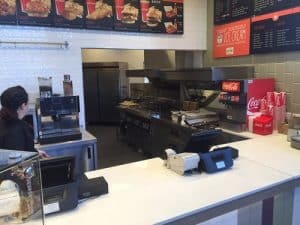 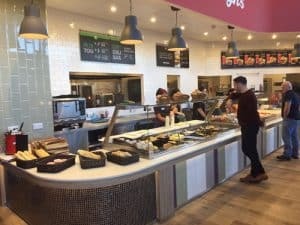 The restaurant was fitted with both hot and cold deli counters to present an appetizing food offering of salads, sandwiches and hot carvery roasts. 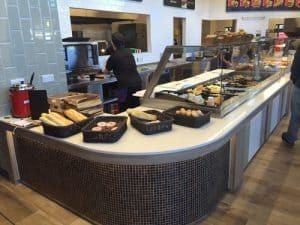 The combination of the dark granite counter top and whitewash tongue and groove paneling contrasted perfectly to create a modern and efficient space. 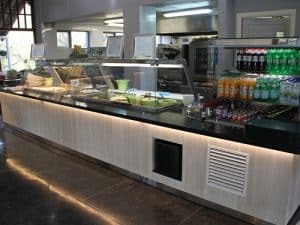 Other installations included a coffee station, stainless steel soup well and multi-tier food display cabinet. 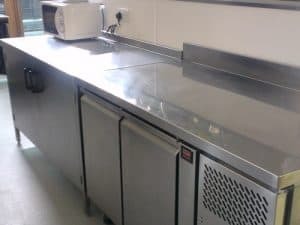 By using a mixture of our tailored equipment solutions, we fitted out The Mill Park Hotel with a kitchen designed to produce large quantities of food quickly whilst maintaining a high quality. 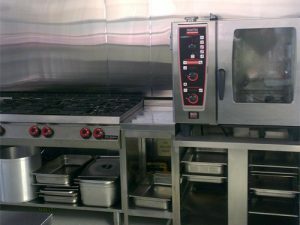 We installed one of our hugely popular ‘Self Cooking Centre Combi Ovens which perfectly met these needs. 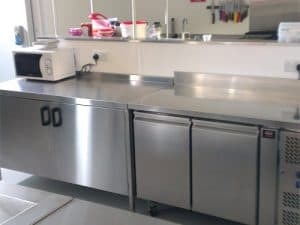 We installed a highly efficient and compact wash-up area and cooking range. 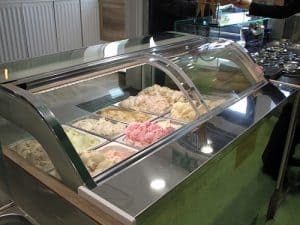 Martin Food Equipment were delighted to create a new IFI Italian gelato bar for The Genoa Cafe & Gelato Bar. 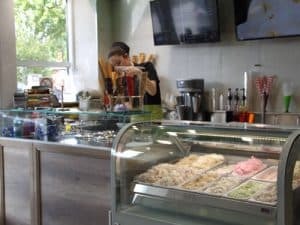 Working closely with the owners, Gemma & Peter, we were able to create the perfect ice cream solution for their business. 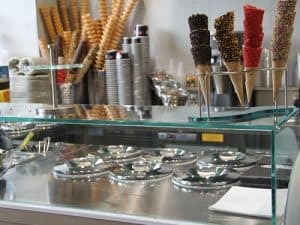 From the gelato display counter at the front of the shop to the chocolate tap at the back of the bar. 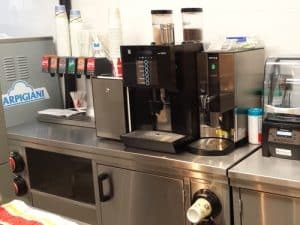 We installed a wide range of modern equipment to achieve a beautiful and highly functional space.